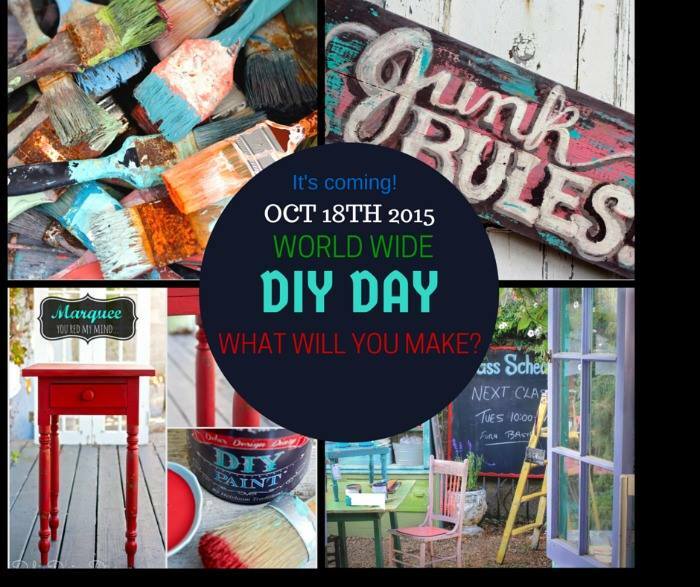 How many of you knew that this coming October 18, 2015, is World Wide DIY Day??? A day for all of us DIYers to embrace and honor the crafty among us. Our very own day!! How many of you who are addicted to Pinterest and pin the day away, but never ACTUALLY make anything you pin? I bet there are quite a few of you! 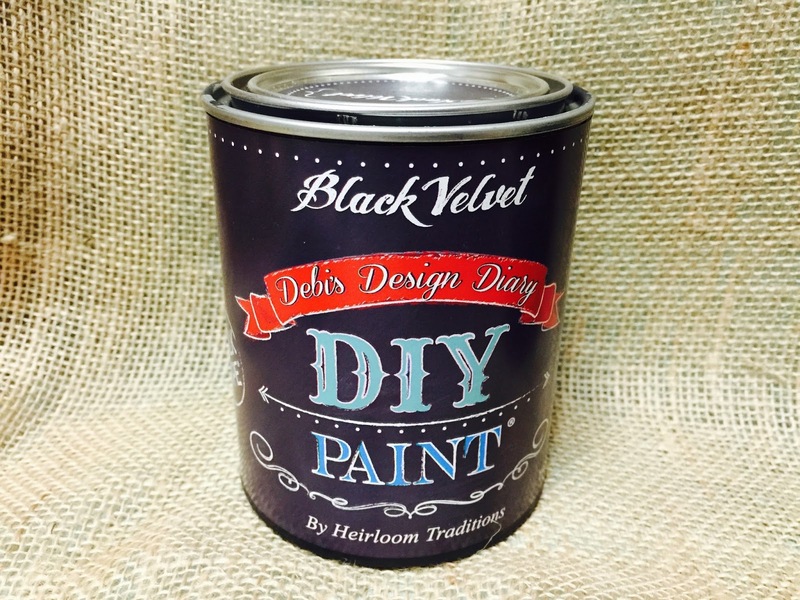 Pull out your craft stash or your power tools and embrace your highly creative minds. October 18th, World Wide DIY Day, is the day to finally get your DIY on and get some of those projects completed! So with that said I am going to officially issue a challenge! No! Not start drinking wine at this hour! I am challenging you to create something of your very own using a tutorial. 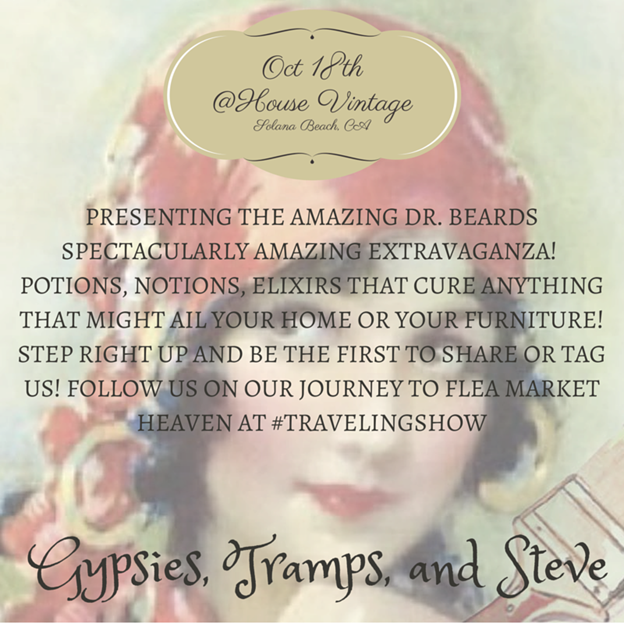 If you are in the neighborhood of Solana Beach, California, run, don't walk to the fabulous House Vintage Flea Market where my fellow Gypsies, Tramps, and Steve will be participating in a challenge of our own. With this old wine bottle, we are going to be creating our very own pin-worthy tutorial that you can do with us in-person or at home. Just follow along! 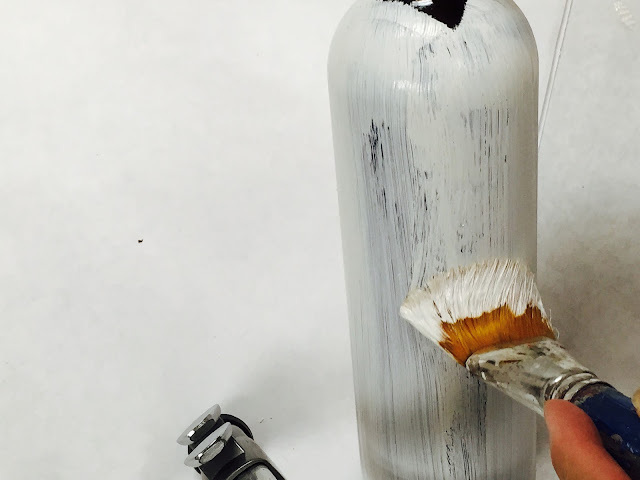 We will show you how to create a Spooky Potion Bottle for Halloween decorations. 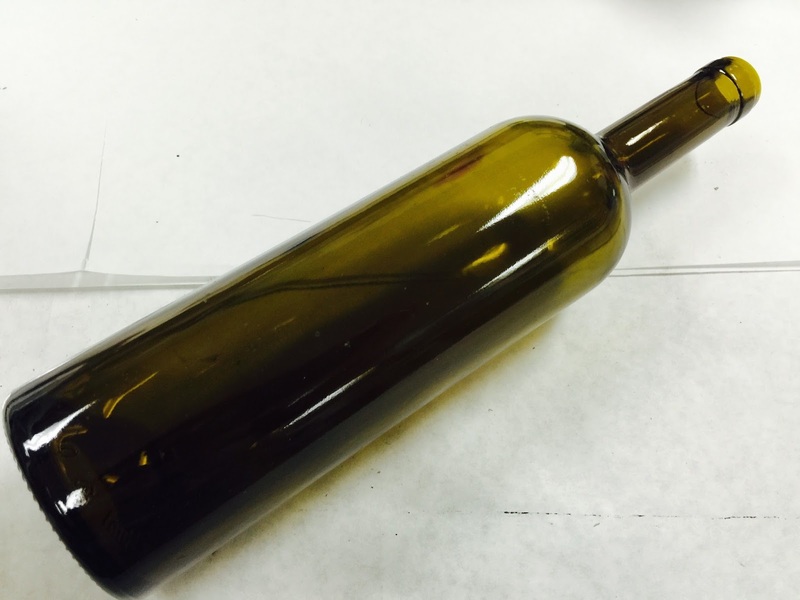 Follow these steps to make your own Spooky Potion Bottle! 1.) Make sure your bottle is clean and dry. 2.) Paint the entire bottle in a thin coat of DIY paint and let dry. 3.) 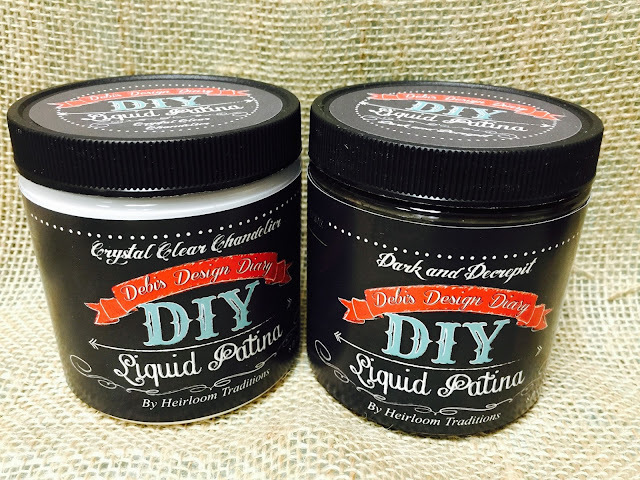 Paint a 2nd thin coat of DIY paint and let dry. 4.) Pick your label of choice. 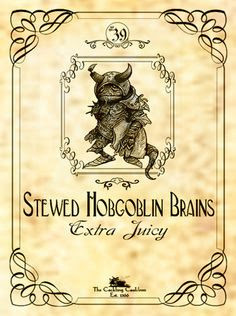 I love downloading cool ephemera from The Graphics Fairy. Print and then tear the edges to make the paper look aged. 5.) 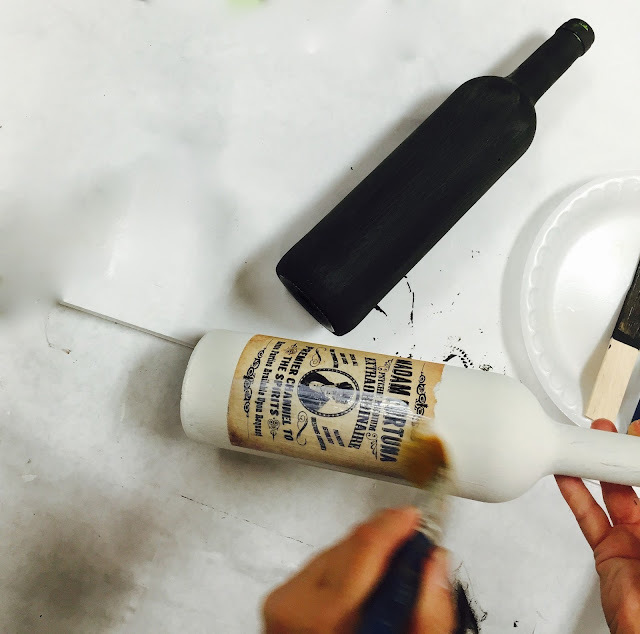 Using the Crystal Clear Chandelier Liquid Patina, coat the bottle with one light coat. Let dry completely. 6.) Spray a light mist of water on the front of your label. Flip it over and coat the back with a generous coat of the Crystal Clear Chandelier Liquid Patina. 7.) Position the label on your bottle and slowly smooth out the label avoid bubbles and wrinkles. 8.) 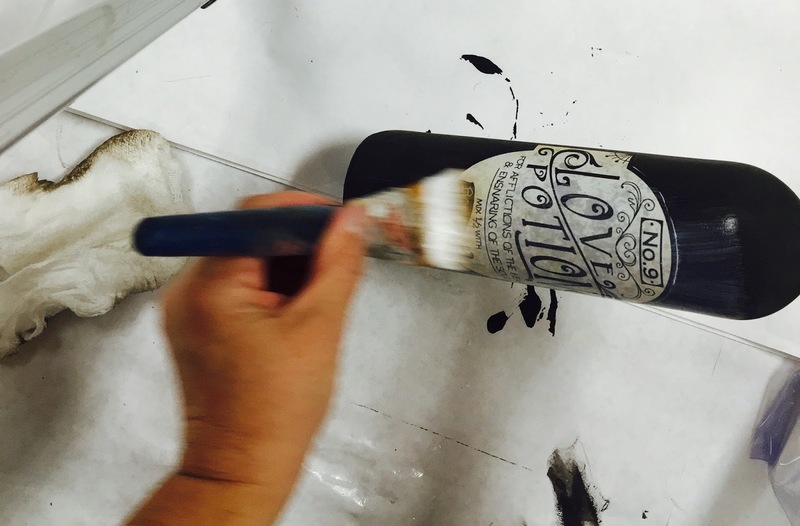 Once positioned on the bottle, let label dry. 9.) 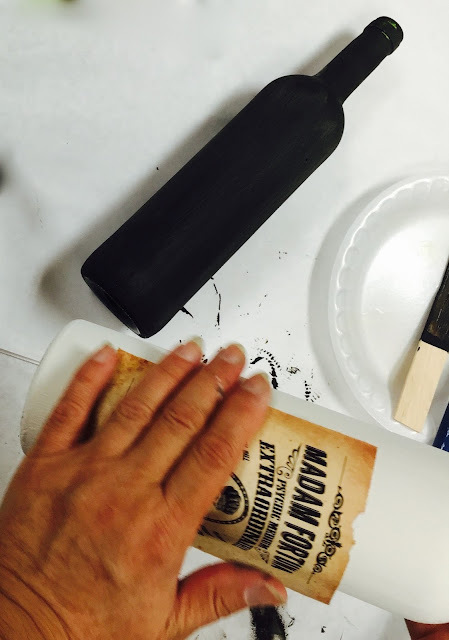 Using a clean paint brush or sponge, coat the label and bottle with Dark and Decrepit Liquid Patina. Use as little or as much desired to create an aged, grungy look. 10.) Wipe off or work in the Dark and Decrepit Liquid Patina using cheesecloth or a lint-free cloth. 11.) 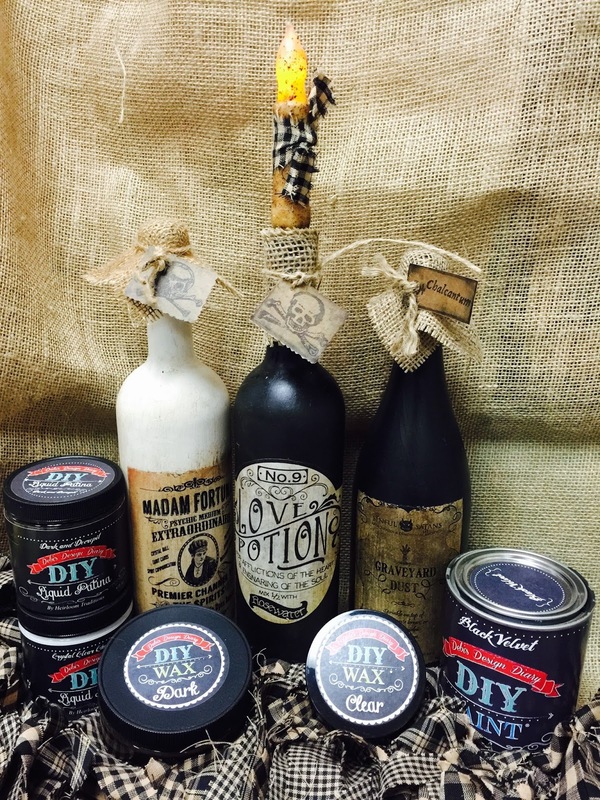 Finish with burlap and twine or light a candle in the top and allow the wax to drip down the bottle. Ta Da!!! You have your very own Spooky Potion Bottle. You can do these in any color. Group together to make a fun All Hallows Eve table decoration. 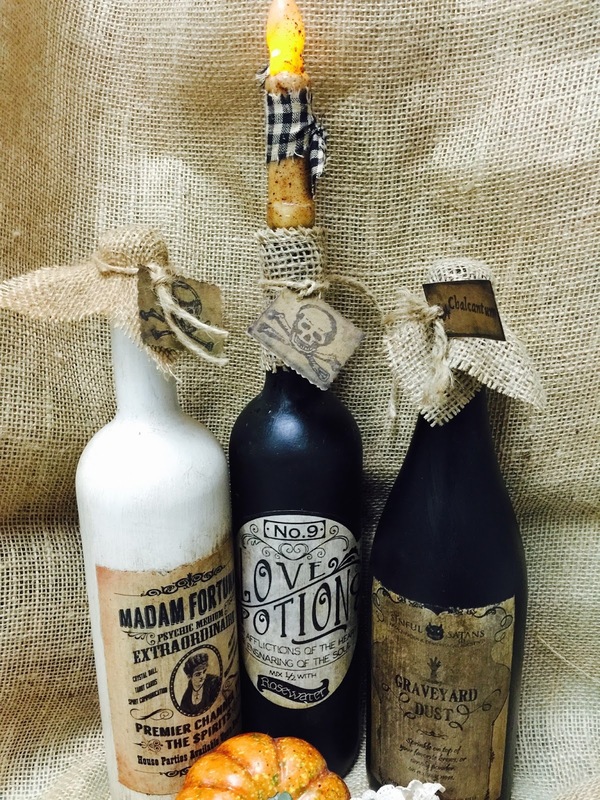 Come on down to the House Vintage Flea Market in Solana Beach, California, on Sunday October 18th and make your very own Spooky Potion Bottle. Visit my team member Facebook pages! Be sure to follow The Painted Chest on all of your favorite social media sites! Welcome to The Painted Chest. 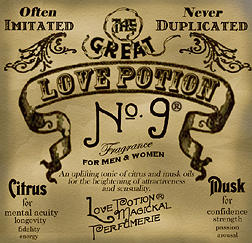 I’m Tricia and I swoon over antique & vintage furniture and all natural paints. 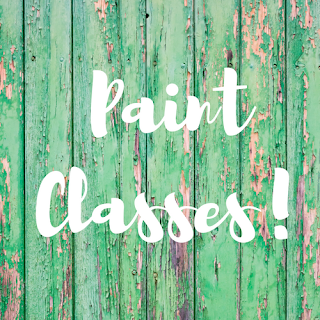 Here you will find my hand painted antique & vintage furniture as well as tips & tutorials for using paints and finishes. Visit Tricia's profile on Pinterest. Copyright © 2013, 2014, 2015 The Painted Chest │ All Rights Reserved.